The Tarmac is indeed back and it isn't just messing around with some fancy new paint job and a few false statements about how great its' new water bottle cage screws are?! No, the Tarmac has once again set the standard for speed, performance and value for money, coming from the company that has for years lead the world in research and has enough world, classic and tour titles to put most others to shame. 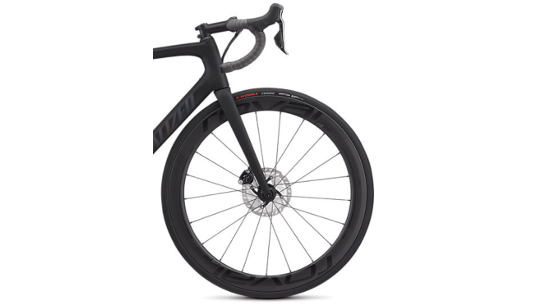 To begin with, the Pro model features a revised Fact 10r carbon fibre frame that ensures everyone who's not riding the Tour de France can afford carbon that is as stiff, as it lightweight and fun to ride. 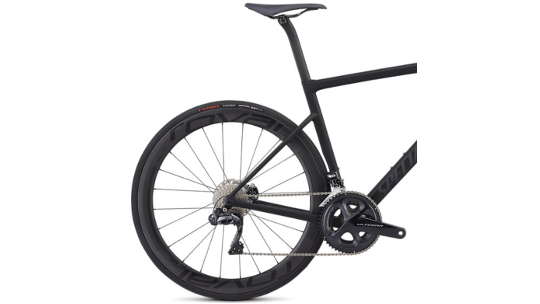 Aerodynamic changes have been made to the D-shaped seatpost as well as the seat stays and a Shimano Ultegra Di2 hydraulic disc groupset proves reliable and ridiculously fast at both shifting from A2B and stopping as soon as you need it too, boosted by electronic power that is hassle-free and low maintenance. Finally, Roval's CL50 disc carbon wheelset only boosts the incredible value for money that comes with the Pro, providing 50mm of carbon speed, the biggest weapon to smash your last personal best with. 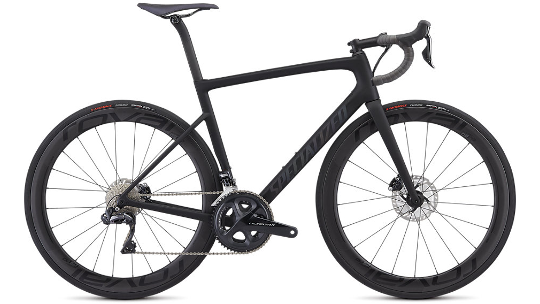 Featuring Specialized's Rider-First Engineered™ design that ensures every frame size has the same legendary climbing responsiveness and descending prowess you'd expect from a Tarmac. The FACT 10r frame is the perfect blend of value and performance.